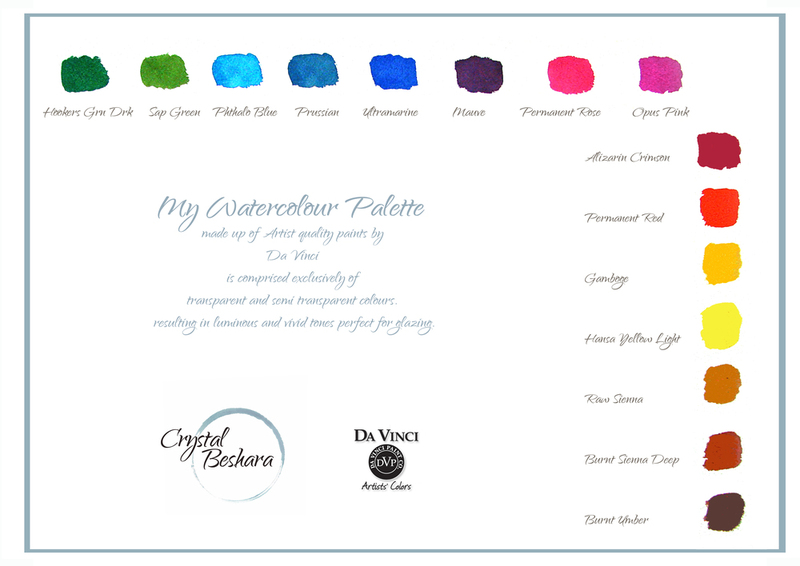 I have been working exclusively with Da Vinci Artist Watercolors for for the last 15 years. They dilute, brush out beautifully and rate among the highest for permanency and lightfastness and yield vivid, radiant results. My palette is made up of transparent and semi-transparent colors which are essential in creating clear, translucent glazes... a process integral to my method of painting. These colour choices also help students or less experienced artist to avoid "muddy" results which can arise from introducing opaque colours. Give these colours a try and see for yourself!